An enduring designer men's gold wedding band is ideal for the man who prefers the classics. Undeniably attractive 10K yellow gold offers a gleaming polished dome shape and an 8mm traditional fit band. 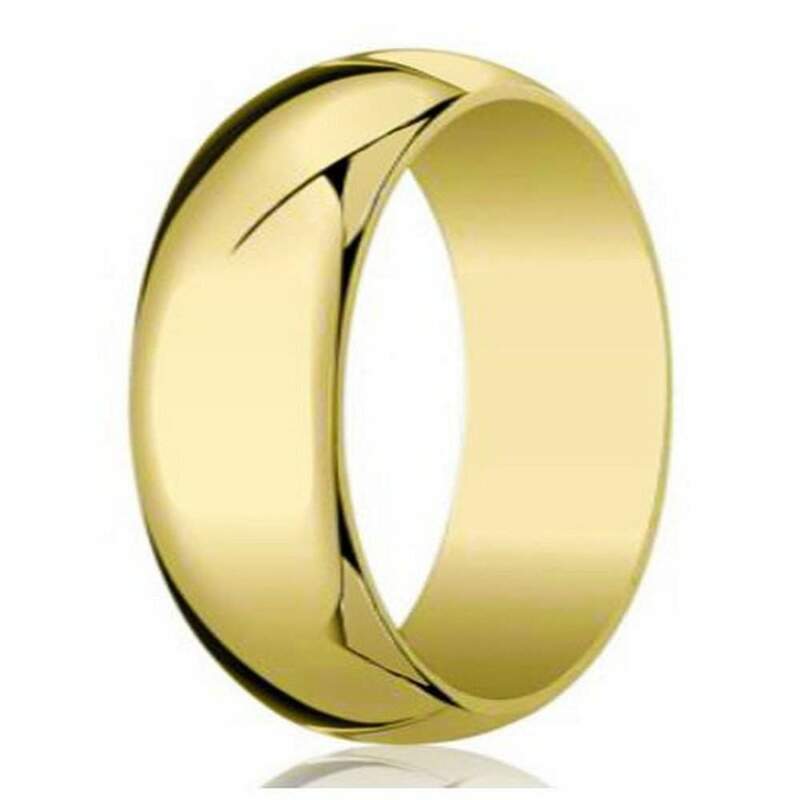 The always stylish look of this gold wedding ring for men is impossible to ignore.